Hey, Dow Honda fans! We are clearing out our demo vehicles, and we want them gone! Their prices have been slashed, and they are waiting for you! 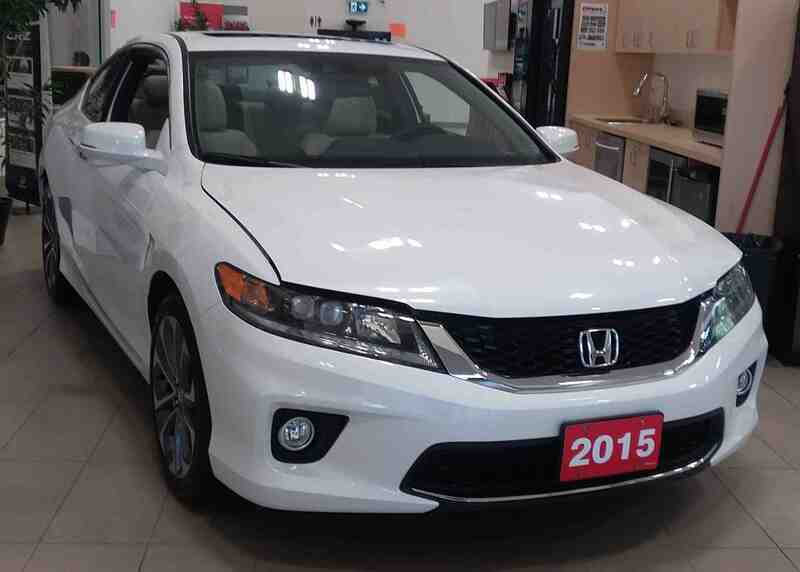 Our executive demo (shown above) is a 2015 Accord Touring V6 coupe! It is now $28,000 plus HST! That’s $10,000 in savings! We also have this 2015 Civic Touring sedan marked down! It is now $22,177 plus HST! That’s $5,000 in savings! SOLD! If you have any questions about our Demo Clearout, click here to contact us! If you would like to learn more about the 2015 Accord, click here! If you would like to learn more about the 2015 Civic, click here!